Kat brings with her the heart of a musical style which originated in America and is loved by the world! heart and from the depths of her soul. She brings to the band the true tradition of the Blues song from her urban roots. You may have seen Kathleen’s face on the cover of ID Magazine or in the video of the hit single 'Block Rockin’ Beats' by the Chemical Brothers... Or maybe you would have heard her voice singing to a standing ovation crowd at Montreaux Festival or guesting on the hit single of D:Ream’s 'Things Can Only Get Better'. 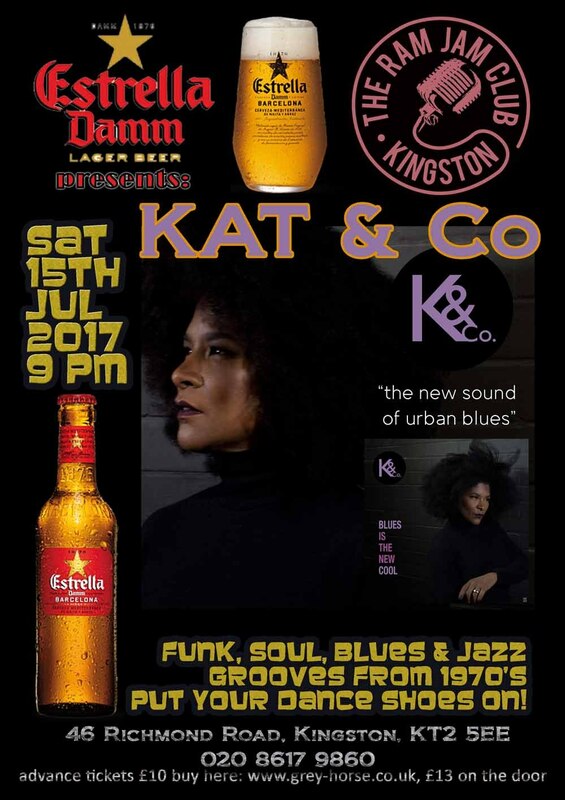 Kathleen has shared the stage with LuLu, Mud Morganfield (Muddy Waters Jr), Jason Robello, Tony Remy, Lil Jimmy Reed, also with Chicago Blues Queens Peaches Staten and Deitra Farr to name a few.